Below you fill find all funeral homes and cemeteries in or near Chesterfield. Chesterfield is also known as: Chesterfield County / Chesterfield town. Zip codes in the city: 29709. Chesterfield County funeral flowers can be purchased from one of the local funeral shops we partner with. Some of the notable people born here have been: (robert b. scarborough), and (willie horton). Chesterfield is a town in Chesterfield County, South Carolina, United States. The population was 1,472 at the 2010 census. It is the county seat of Chesterfield County. At the time of the 2010 census, Chesterfield was the least populous of all of South Carolina's county seats. It was noted on December 14th, 2018 that James Clifton Tucker passed away in Chesterfield, South Carolina. Tucker was 80 years old. Send flowers to express your sorrow and honor James Clifton's life. It was noted by Register Herald on December 5th, 2018 that Pecolia E Carter (Patterson) died in Bluefield, West Virginia. Ms. Carter was 90 years old and was born in Chesterfield, SC. Send flowers to express your sympathy and honor Pecolia E's life. It was reported by New Haven Register on October 25th, 2018 that Luea Myers (Malloy) perished in New Haven, Connecticut. Ms. Myers was 92 years old and was born in Chesterfield, SC. Send flowers to share your condolences and honor Luea's life. It was noted by New Haven Register on April 18th, 2018 that Joseph Louis Sr Lowery passed away in Connecticut. Lowery was 83 years old and was born in Chesterfield, SC. Send flowers to express your sympathy and honor Joseph Louis Sr's life. It was revealed by New Haven Register on April 2nd, 2018 that Chester Cash passed on in Connecticut. Cash was 68 years old and was born in Chesterfield, SC. Send flowers to share your condolences and honor Chester's life. It was noted by Statesville Landmark on May 24th, 2017 that Sarah Etta Phelps (Johnson) passed on in Statesville, North Carolina. Ms. Phelps was 96 years old and was born in Chesterfield, SC. Send flowers to express your sympathy and honor Sarah Etta's life. It was disclosed by Statesville Landmark on March 17th, 2017 that Benny Burr perished in Statesville, North Carolina. Burr was 70 years old and was born in Chesterfield, SC. Send flowers to express your sorrow and honor Benny's life. It was disclosed by Amarillo Globe-News on July 11th, 2014 that Nathaniel "Desiree" Little died in Amarillo, Texas. Little was 49 years old and was born in Chesterfield, SC. Send flowers to express your sympathy and honor Nathaniel "Desiree"'s life. It was revealed on March 27th, 2013 that David Garrett perished in Chesterfield, South Carolina. Garrett was 50 years old. Send flowers to share your condolences and honor David's life. It was revealed by Columbus Dispatch on December 5th, 2012 that Johnsie Lindsey died in Columbus, Ohio. Lindsey was 88 years old and was born in Chesterfield, SC. Send flowers to express your sorrow and honor Johnsie's life. Chesterfield is a town in Chesterfield County, South Carolina County, South Carolina, United States. 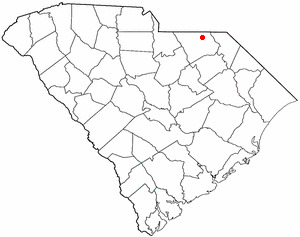 It is the county seat of Chesterfield County, South Carolina County . The population was 1,318 at the 2000 census. . . The official website for the city of Chesterfield is http://chesterfield-sc.com. of Simpsonville, SC, Rachael (John) Dudley of Colon ... and Janice (Tom) Jalosky of Chesterfield, and several nieces and nephews. The family will receive relatives and friends from 2-4 p.m. and 6-8 p.m. Sunday at Schipper Funeral Home in Colon. ... until December 1963, when the Robert E. (Bob) Rivers Sr. homeplace was purchased and the Funeral Home moved to its present location at 318 East Main Street, Chesterfield, SC. Chesterfield, South Carolina funerals: A free and helpful guide to Chesterfield SC funeral homes and funeral services. Listing all funeral homes in Chesterfield, South Carolina so you can easily send flowers to any location (same day delivery) or find any funeral service. We work with local florists and flower shops to offer same day delivery. You will find budget sympathy flowers in Chesterfield here. Our funeral flowers are cheap in price but not in value.